Quickly see the status of your task. 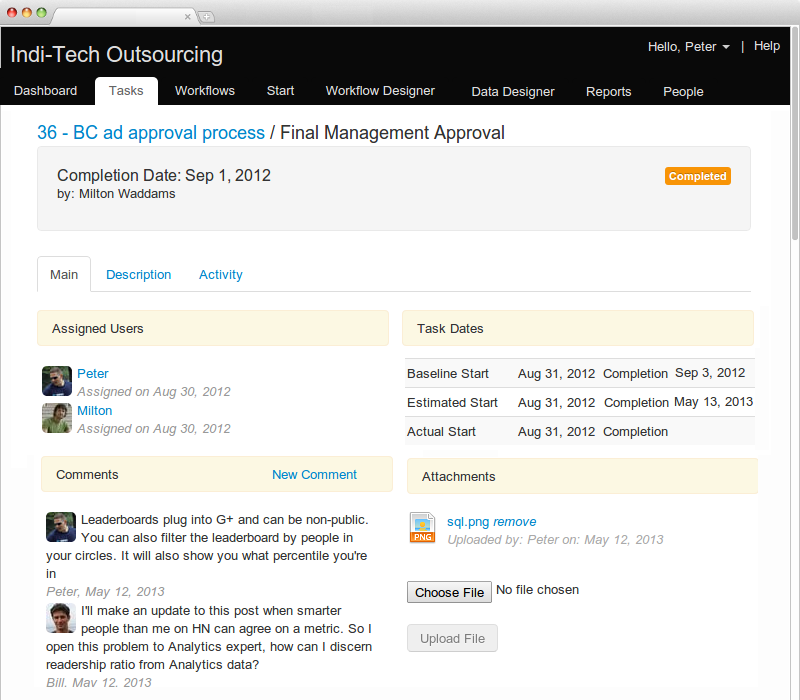 Add comments, reassign task users and upload documents all from one easy to understand screen. 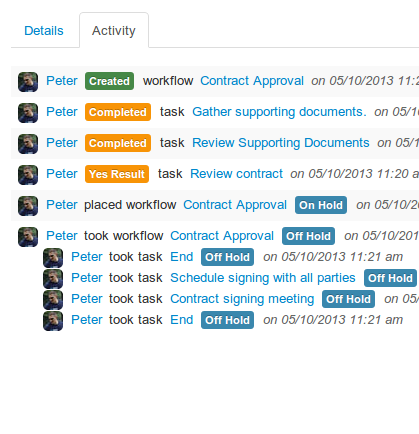 Comments, attached documents and task activity roll up to the task's workflow. All of the task's activity is logged and made easy to view and understand. 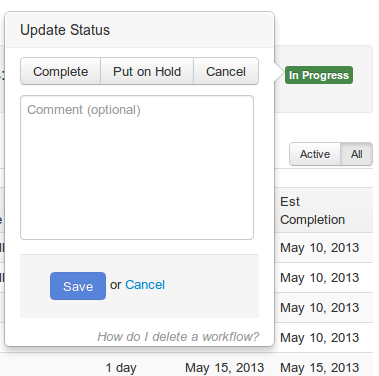 Update the task's status from the workflow or task home page. 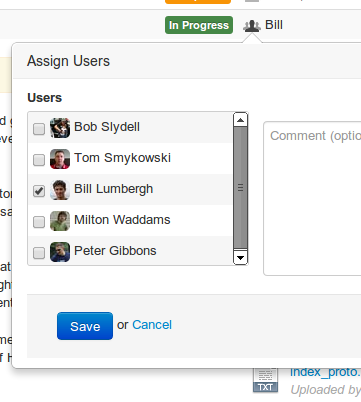 Quickly assign and reassign users from the workflow or task home page.